We are pleased to announce that we have started performing ovum pick-up (OPUs) for in vitro fertilization (IVF)! We are now available to perform these procedures at our facility northeast of Britton South Dakota, so feel free to contact us on donor housing and setup. Embryo transfer has been the exclusive business of BovaGen from its beginnings. Dr Boyd Bien, DVM, founder of BovaGen, initially began by offering on-farm embryo transfer (ET) services in 1983. BovaGen has established a reputation of excellence and innovations coupled with exceptional personal service. Maintaining a commitment to serve clients the most effective manner possible, BovaGen opened an in-clinic ET service in 1994 and in 2011 BovaGen moved to its current location in South Dakota. The facilities house both dry and lactating donors. In-clinic, donor cows and heifers receive the quality care characteristic of BovaGen’s continuing on-farm services. 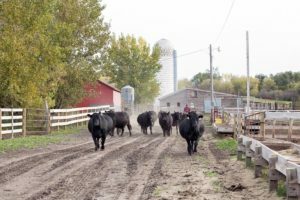 BovaGen serves a wide variety of purebred cattle breeders throughout the Midwestern United States. 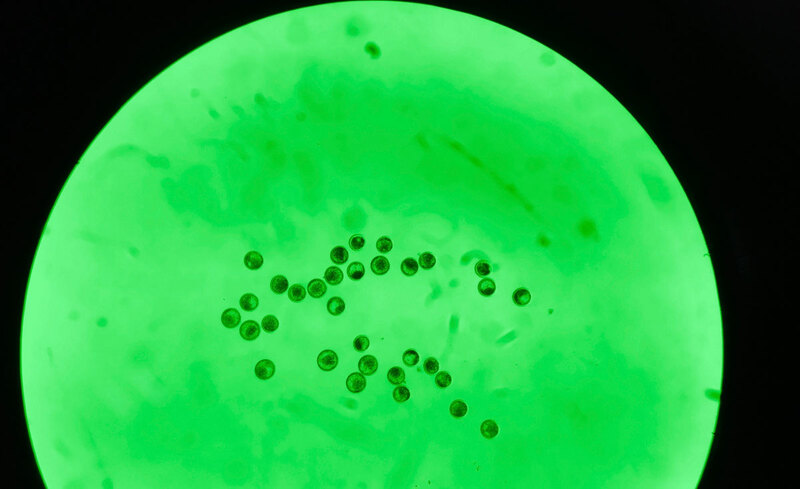 Every Breeder has different goals for his embryo transfer program. BovaGen is committed to providing personalized service to help each breeder reach these specific goals and will customize an ET program to best meet your needs. BovaGen offers cattle breeders modern reproductive technologies and proven, time tested results. * more than 30 years experience. * committed to integrity and excellence. A single collection from an Angus donor at our facility. OFFICE. 43475 111th St Lake City, SD 57247.